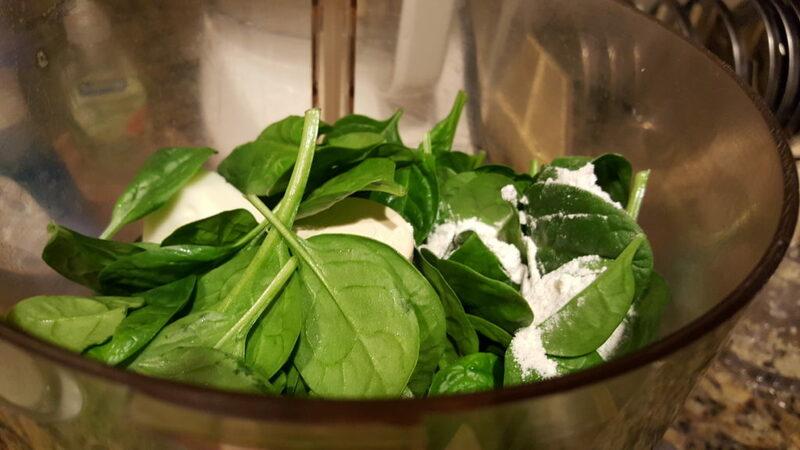 In the Food Processor, chop ¼ of the Spinach leaves along with 1 tablespoon each of butter and flour. 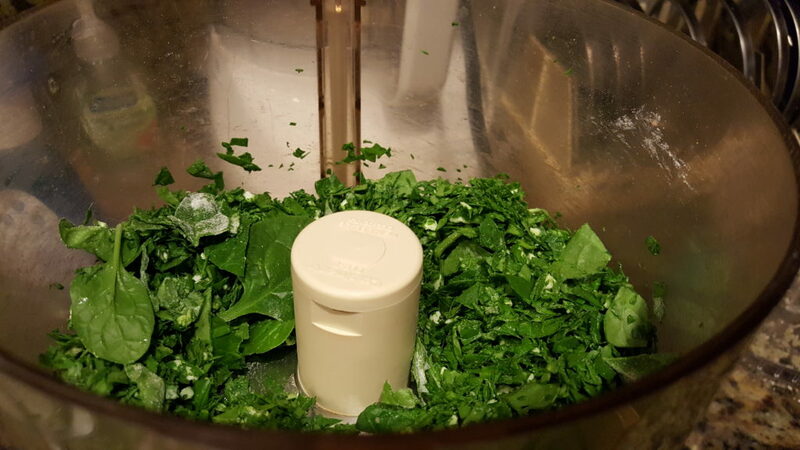 (Use the Pulse Button) to chop the Spinach to the desired consistency. Repeat until all the Spinach is chopped. 3. 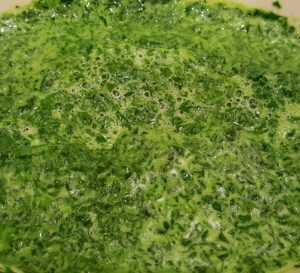 Place the chopped Spinach in a microwave proof serving dish, sprinkle with Salt and mix. 4. Add the Cream and place in the Microwave Oven at normal setting for 90 seconds. 5. Stir, and cook for an additional 30 seconds.